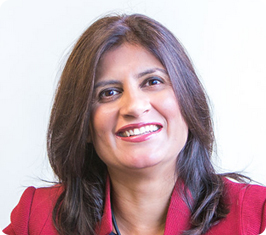 Shilpa Pherwani, the principal of IBIS and a leading expert in diversity and inclusion, has been guiding global organizations for over 12 years on leveraging diversity as a business advantage. An organizational psychologist by training, she partners with organizations to effect sustainable organizational change by conducting cultural assessments, developing comprehensive strategic diversity action plans, and designing compelling and interactive classroom-based and online training. Shilpa collaborates with key stakeholders to strategically plan, implement, and measure diversity initiatives. Shilpa has worked with global organizations to guide management and executives on being effective across cultural and geographical boundaries. She delivers outcome driven and systemic consultation to diversity committees, senior members of HR and business leaders. Shilpa’s clients include Aetna, Barclaycard US, Boeing, Campbell Soup, Framingham State University, Grainger, Genzyme, Microsoft, Nestle, Progress Software, Sun Life Financial, State Street Bank, Texas Health Resources, Thrivent Financial of Lutherans, Tredegar Corporation, and Williams Sonoma. Shilpa Pherwani graduated from Kanpur University (India). She received her Master’s from Springfield College in Industrial/Organizational Psychology where her focus was on Organizational Development.